We are 8 days away from Christmas and the decorations are in full swing. We have some new things this year that have made decorating a bit more fun. The first thing that is new is the mantle below. It is a cedar block mantle that was installed by my builder Stuart Grubb. Finally we have a place to properly hang our stockings. You can also see Rudy the Elf is hanging around in the garland above. Here is our tree all decorated, waiting to presents to arrive under the tree. Oh the joy of getting the Christmas cards ready… the Christmas tree lights made for fun photography and bokeh. This year I added lights to the gutters of the house which looks pretty awesome at night, and also made the columns into candy canes. Last year I made this outdoor Christmas tree out of recycled oak hardwood floors. 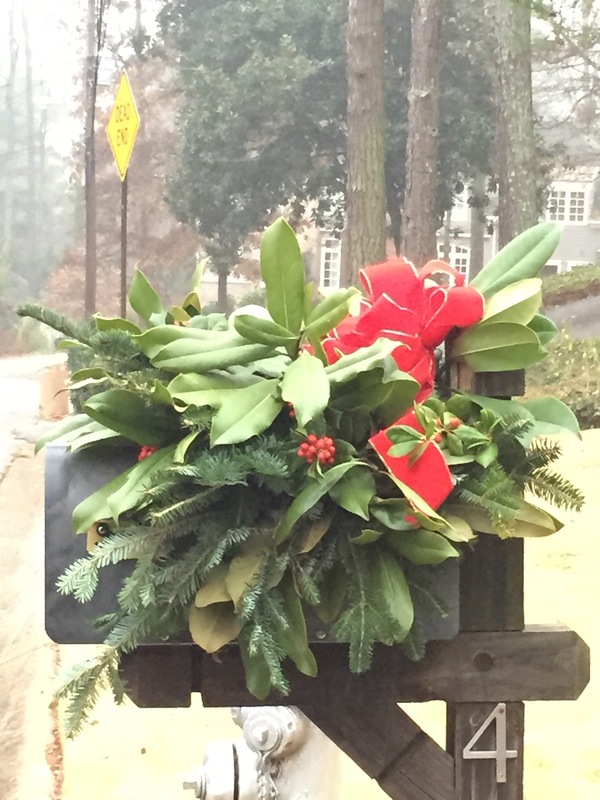 One of these pictures is not like the others… The picture below was taken with my iPhone of our mailbox all decorated by our neighbors to support Childrens Healthcare of Atlanta. 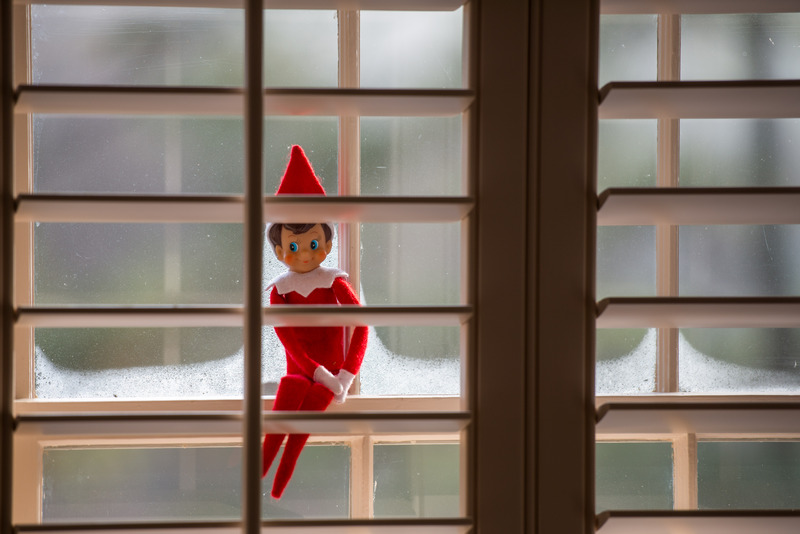 And finally here is Rudy the Elf on the Shelf keeping cool in the front window.